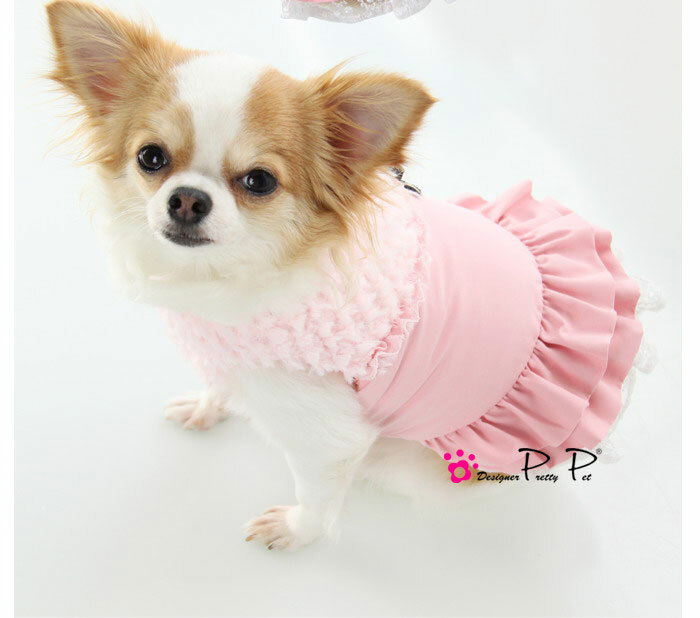 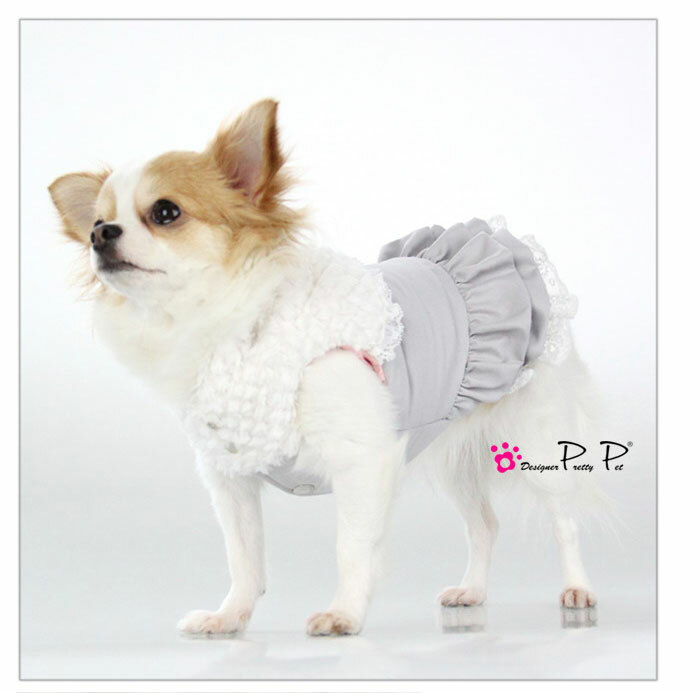 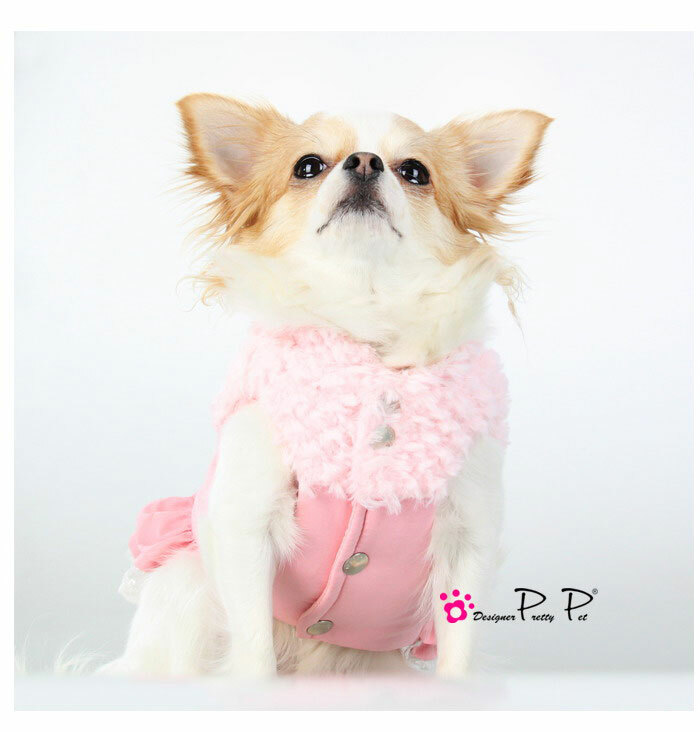 Made from 100% Polyester Outer this sweet little coat keeps your dapper dog looking a diva! 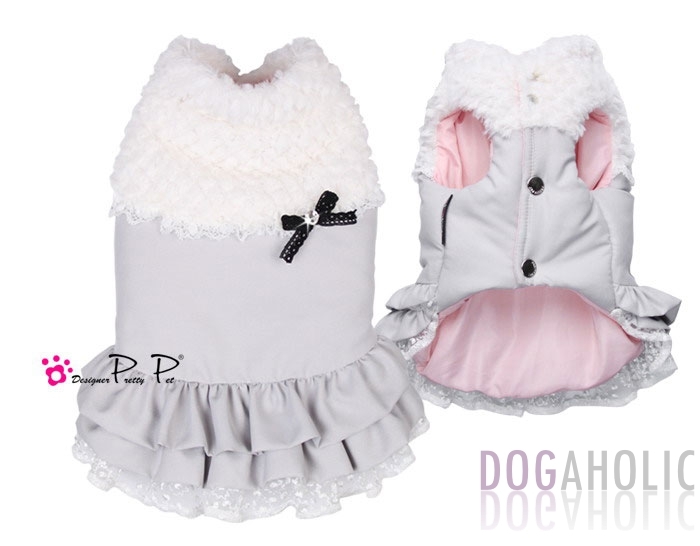 The multi-textured design has a faux fur top with a cute ruched waist making this coat a perfect choice for little girl dogs! 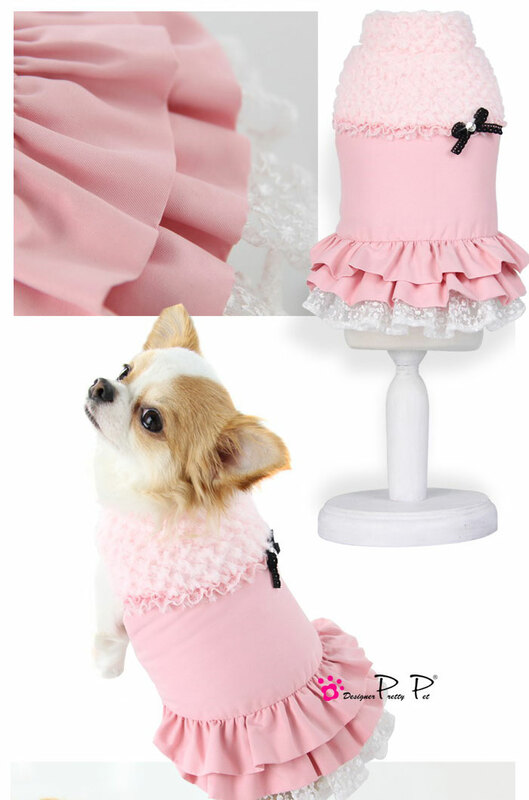 See below for size chart and more images.